Former Gov. Arne Carlson called for the University of Minnesota to fire its president, Eric Kaler, in an editorial for the Star Tribune Friday. A few weeks ago, a legislative audit found the University ignored "serious ethical issues" in its handling of a mentally ill drug trial patient a decade ago. That patient, Dan Markingson, committed suicide in 2004 while participating in the trial. 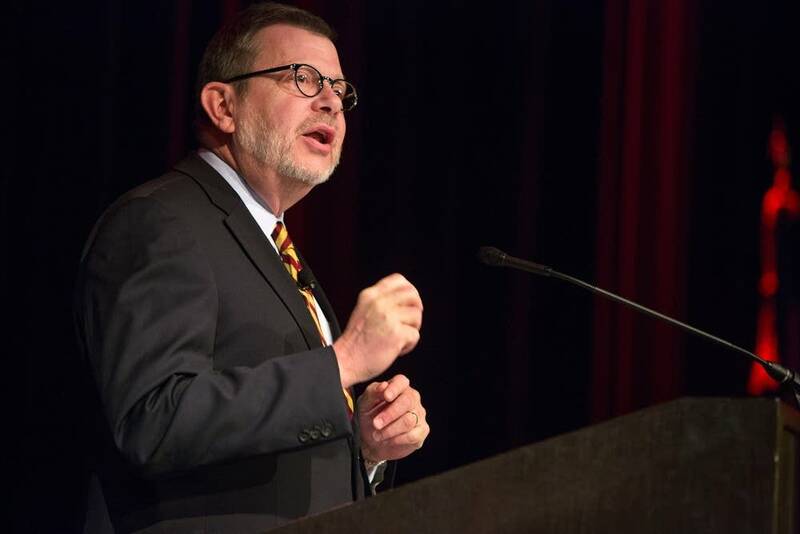 "We will not see meaningful reform of research on human subjects, nor the restoration of prestige at the university, so long as Kaler, [Board of Regents Chairman Richard] Beeson and other leaders responsible for years of denials and stonewalling remain in charge," he wrote. On MPR News with Tom Weber, Carlson said "it's been a very harmful injustice; it's brought tremendous reputational harm to the University of Minnesota." The trial and suicide occurred before Kaler took office, but Carlson said he didn't handle it appropriately based on the information he received on the case. "When President Kaler came on board, he was sent materials on the seriousness of the Markingson case, the fact that there was a cover up in existence," Carlson said. "All he had to do was meet with members of his own department of bioethics at the University to discover what the truth was. He refused to do that and instead he participated in the cover up. As the legislator auditor reported and as I reported, that cover up was essentially a series of false statements clearly designed to mislead the public, the legislature and the faculty." The University of Minnesota declined to comment.